Having a quality wheel alignment service will definitely improve the safe travel of your vehicle. Misalignments happen often because they're simply a result of normal road travel. Just like your vehicle's brake pads or tires, the wheel alignment is bound to be adjusted or replaced. Depending on your vehicle's purposes, you might need a wheel alignment service sooner rather than later. Drivers should be on the look for common warning signs of a misalignment. The first sign will be a slight drift to either right or left when you're driving on the highway. In this case, you need to loosen your grip on the steering wheel, and your vehicle should continue in a straight line. If the wheels are misaligned, your vehicle will pull in one direction. Sometimes, this can be hard to notice because most drivers will unconsciously correct their handling of the steering wheel. When you compensate for the misalignment automatically, it eventually becomes a habit of which you are not aware. Every time you get in your car for a quick spin, you need to do a quick check-up of your tires. These mini-inspections will tell you if there are harmful objects under or around your car. It also provides you with the opportunity to inspect your tires' tread. This is the second sign of a misalignment. 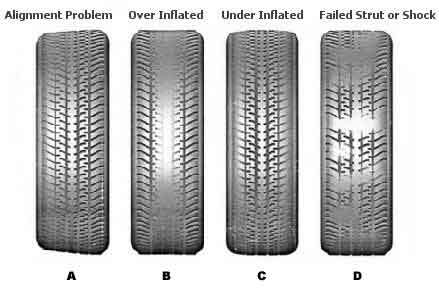 If you notice that your tires are wearing unevenly, one side balding faster than the other, then it's time to pay us a visit to Auto Safety Center. 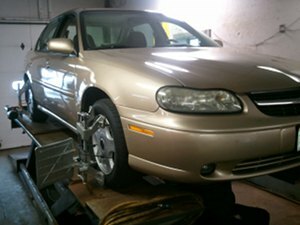 We have top-quality alignment tools and equipment to ensure the correct alignment of your wheels. 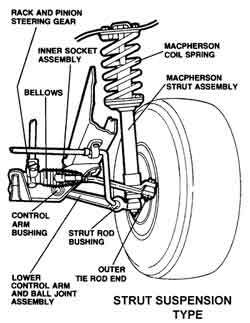 If your vehicle has misaligned wheels, having a tire balancing and rotations won’t fix the problem. 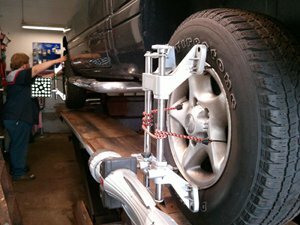 Placing your vehicle on our accurate alignment equipment will improve your overall driving experience. In some situations, you’d want to just relax while driving by putting your car on cruise control and guide it with the slightest of touches on the steering wheel. You won’t be able to do this if you don’t have a quality wheel alignment service. 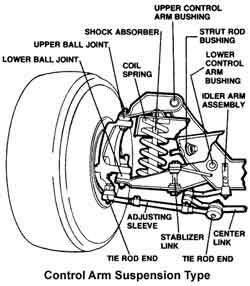 Having a wheel alignment service will also protect your tires. At Auto Safety Center, we want drivers to remain vigilant about the condition of their tires and wheel alignment. As soon as you leave the dealer’s lot with your vehicle, the normal road travel begins to wear down the tire tread and also the gradual misalignment of your vehicle begins. The process of misalignment could speed up due to minor or major impacts. It’s best to get your vehicle’s alignment corrected after you run into a curb or a pothole. You’ll be able to assess the impact as soon as you start driving down the highway. No matter how serious it was, you already know that even by regular driving, the wheels are becoming misaligned. Give us a call today at (262) 334-7241 to schedule your next wheel alignment service. You can save time by scheduling right now using our convenient online scheduling system.